Based on WP-Filebase, this extended version includes even more features, like PDF thumbnails, single file pages and batch syncing. If you – or you clients – are already using WP-Filebase, you can just upgrade to WP-Filebase Pro and all files, categories and settings are adopted – no need of reconfiguration. Files can be assigned to up to three secondary categories. The actual file stays in the primary category, while links are added to secondary categories so it will appear in file lists. With WP-Filebase Pro you can protect files with passwords and set file access permissions to individual users. 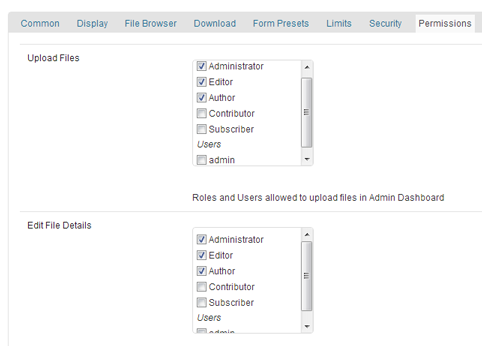 You can select multiple user roles and users to allow access to files and categories. Furthermore you have control about who can upload, edit files, delete files, manage categories, edit templates or create upload forms. 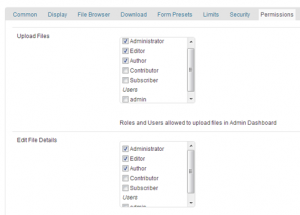 Upload to Categories can be restricted to user roles and individual users. You can embed upload forms into content to allow users to upload files from the front-end. You can either let the uploading user choose to which category the files is uploaded or you can set a fixed target category. For categories you can set upload permissions to restrict upload to certain users. 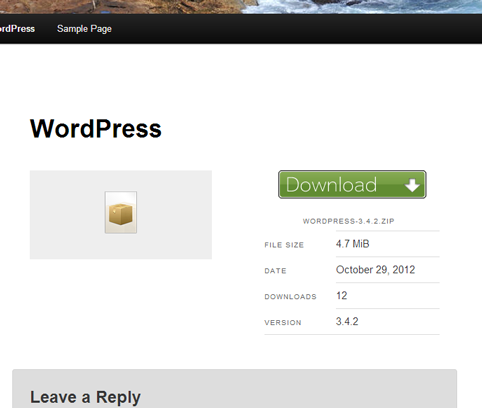 Embedded Forms include a fancy HTML5/Flash uploader that has a Drag & Drop area and progress bar. WP-Filebase Pro can generate thumbnails of PDF files and support indexing their keywords for search. It can even automatically extract the Document Title with a custom regular expression. Thumbnail generation requires GhostScript to be installed on your server. Use this PHP-File to test if GhostScript is properly installed on your Linux or Windows server. ODT and DOCX files are indexed so they will appear in search results. … never runs out of memory anymore! Regardless of how many files you want to import, Batch Syncing can add ’em all! In an initial step it builds a file list, which is processed in multiple requests. Do you have ads you want to present to the user before the download starts? With File Pages you can do! A details page is generated for each file, using a customizable template. You can additionally setup an automatic timer to redirect to the download. Finally you can simply add your Dropbox Files to your WordPress Blog. The Remote Sync (or Cloud Sync) connects to any Cloud file-storage Service such as Dropbox, Amazon S3, Google Drive and WebDav (Owncloud). It scans directories and files recursivly. Thumbnails are automatically created while the file stays in the Cloud without causing any data traffic to your website. 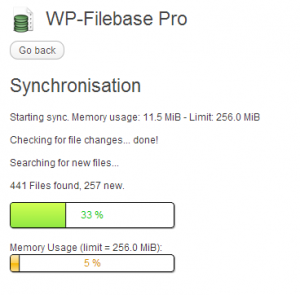 WP-Filebase Pro can also sync with an external FTP site. 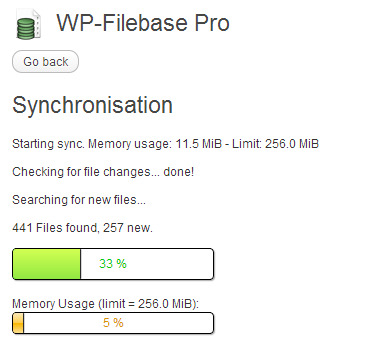 Combined with cron sync, WP-Filebase Pro will automatically display files added to the Dropbox or other cloud services. This is the most useful thing to know all the setting of printer in windows 10 OS.Because you don’t know any of the time you have to use this.Then follow this http://addprinterwindows10.com/ and know more about this. I wonder whether Filebase Pro can restrict daily download limit for each user group?